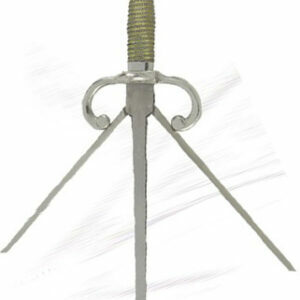 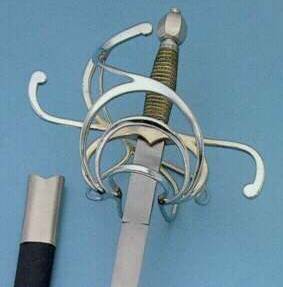 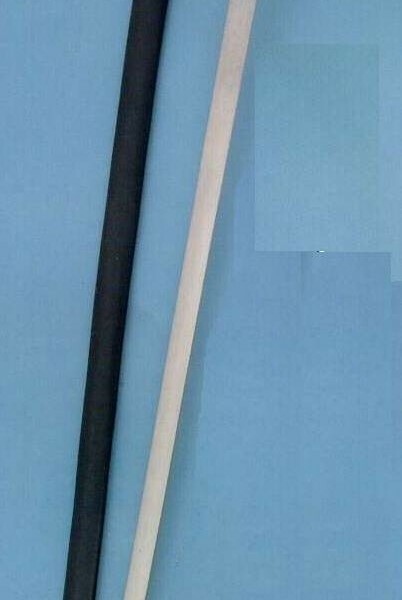 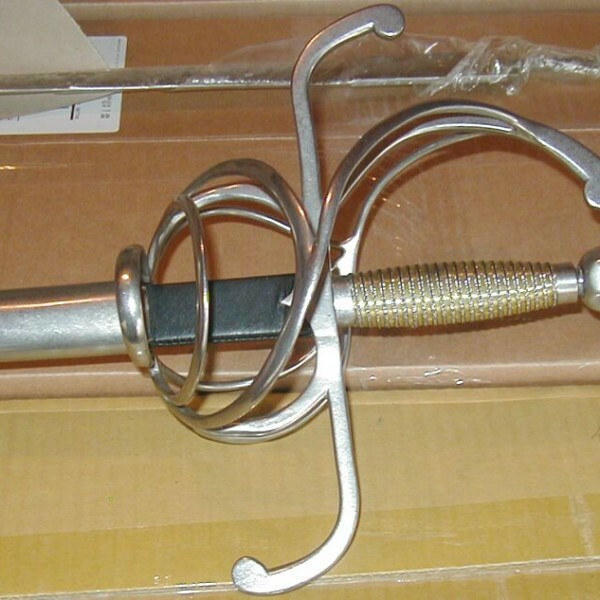 The final form of the Swept Hilt Rapier evolved from the practice of hooking the forefinger over the quillon and around the ricasso for better blade control, the various branches of the guard being designed to protect different parts of the hand in this position. 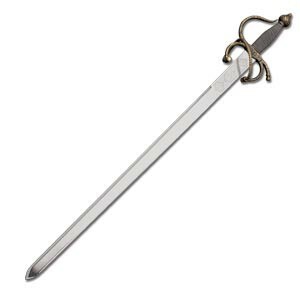 Hanwei’s SH1028 Swept-Hilt Rapier is an excellent example, fully functional, with a rigid high carbon steel oval cross-section blade. 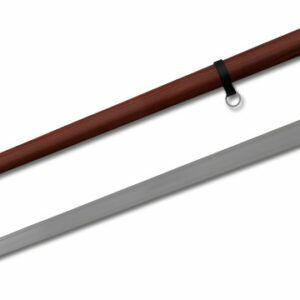 The ricasso is covered with black leather to match the scabbard. 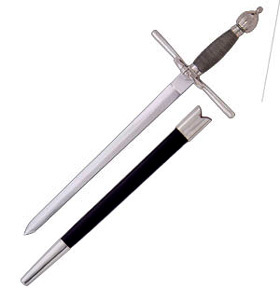 The polished steel swept hilt protects a two-tone wire-wrapped handle. 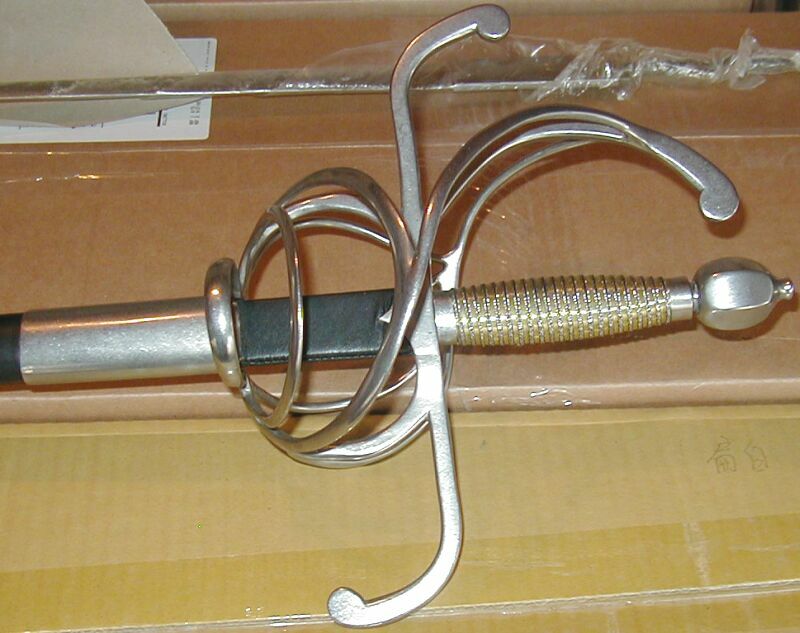 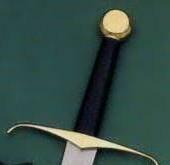 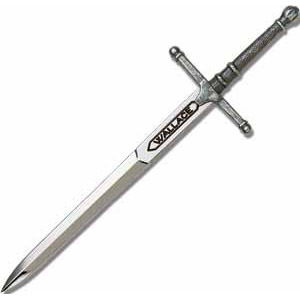 This sword is not suitable for fencing, but is a fully functional and historically accurate weapon.